I have tried again and again and even contacted Magellan but so far they cannot help me. I have the Magellan® RoadMate® 2120T and bought it with Lifetime updates (said it right on the box which I still have). I talked to tech support 3 different times and uninstalled and reinstalled the software, updated it, etc, and nothing helped. They even removed my registrated GPS thinking re-registering it might help but that did not resolve the issue neither. I have already told them that I regret buying Magellan and wish I would have bought TomTom even though it wasn't on sale. The reason being is that I had a used TomTom before and I loved it. But because it was used I was unable to update the maps. That is why I bought the Magellan. It was on sale at Canadian Tire. I have done a lot of research and realize that Garmin is the best in GPS so perhaps I should buy that next. However I am not made of money and infact live below the poverty line. However because of all the construction and street changes in my city lately I really enjoyed having the GPS. 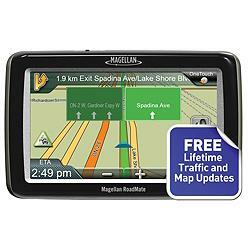 But due to not being able to update the Magellan® RoadMate® 2120T I have not used it in quite a few months now. Why did I even waste my money on this piece of crap??? I got ahold of them on Facebook (for some reason public complaints get more attention) and now they fixed it. However for some reason I am having a hard time now getting the updates onto my GPS without it erroring on the 3rd out of 3 updates.. Okay it seems to have updated even though at the part after it does and says to disconnect and let the GPS restart and then reconnect, the program (Content Manager) had crashed .. but it seems to have updated anyway. Well while on my trip the thing failed to find where I needed to go but it turned out that the place is hard for any GPS I guess. Anyway I didn't make it to the place in time so I will have to try another day. But on my way back home the GPS wouldn't work at all. Keeps saying no connection to computer .. but I was in the car and it was plugged in and it was on .. I don't get it. Never saw that screen before. I was in the car and the car was on and the GPS was plugged in and the plug had power so .. I don't know.. I bought a Garmin. Screw Magellan.. 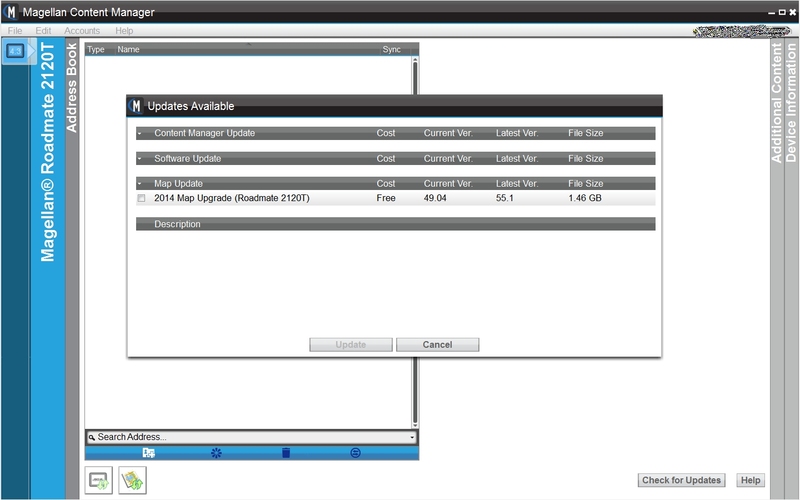 I am done with the hassles ..
Have Magellan Roadmate 6230 dash cam - update site is Smartgpseco but it will not log me in. Correctly used latest Firefox browser. Magellan is truly a joke! I will buy another brand regardless of cost! Dated 1/17/2018. I have multiple Magellan but no more. I have been trying for months to update my 5390 smartgpseco . It started out that I could not even log into the smartgps website. Now when I get in with my gps connected, it says that I have to pay for map updates. When I try to transfer favorites to the GPS, the browser fails with an error message about not being able to communicate with the GPS. I have tried Chrome, Firefox, and even IE (which officially is not supported), nothing works. The GPS does work in the vehicle, but it would be nice to be able to update the maps.